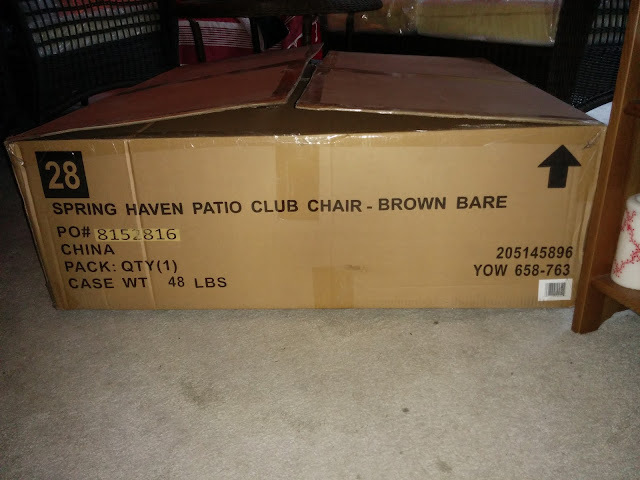 After 8 years in this house we decided it is time to finally get rid of the patio set inherited from the previous owners, and get something new. This is the story of how we went from an empty patio to finally having all 5 seats today. Mid-February we were shopping around for patio furniture. It turns out that we wanted a fairly specific look, not metal, and we liked wicker chairs. 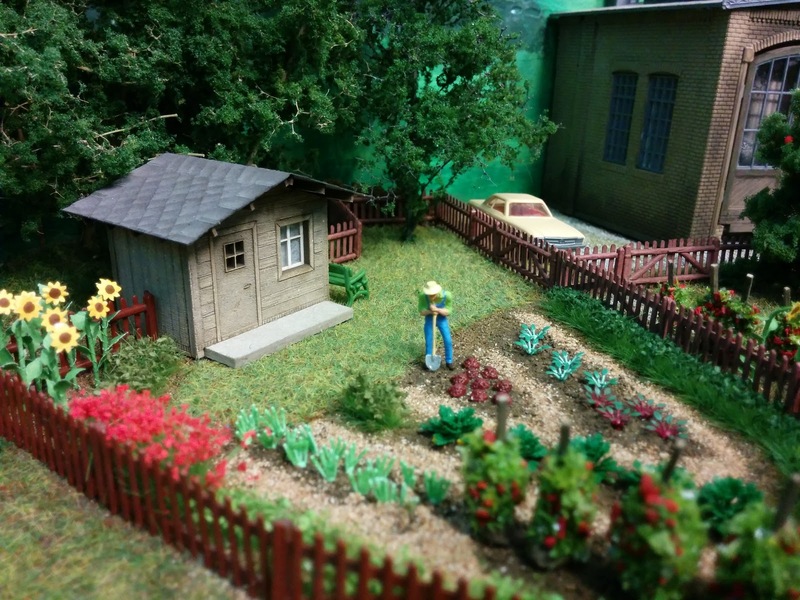 A visit to Patio World revealed some very nice pieces, at prices that we were not willing to pay. So we took a trip through the local big box stores. 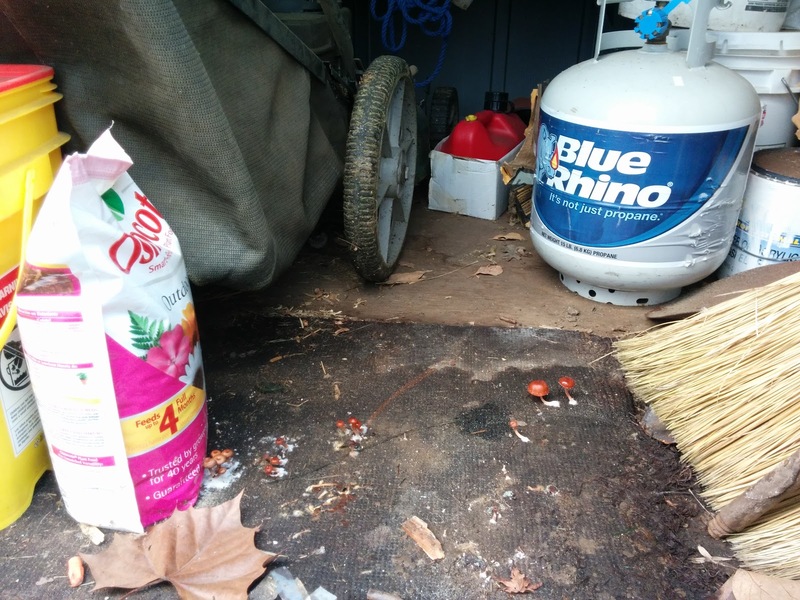 Orchard Supply had nothing we liked, nor did Lowes. Home Depot had one patio furniture set on display that fit our criteria, but the standard cushion color was ... boring. They do offer other colors through special order on homedepot.com. 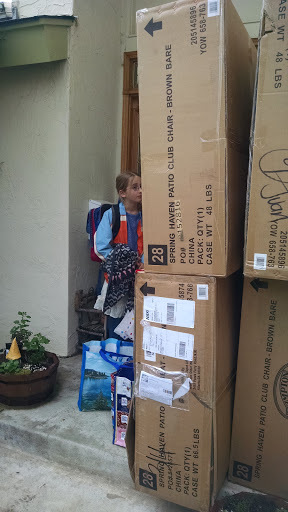 We liked the chairs in the store, so we ordered online on February 27. 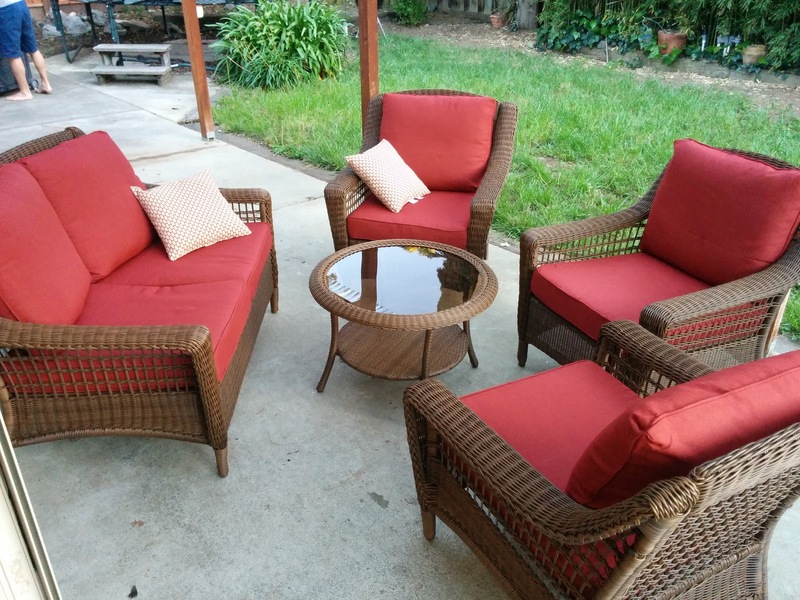 One Spring Haven Patio love seat, 3 lounge chairs, one coffee table. All in brown wicker, and cushion slip covers in "Dragonfruit". 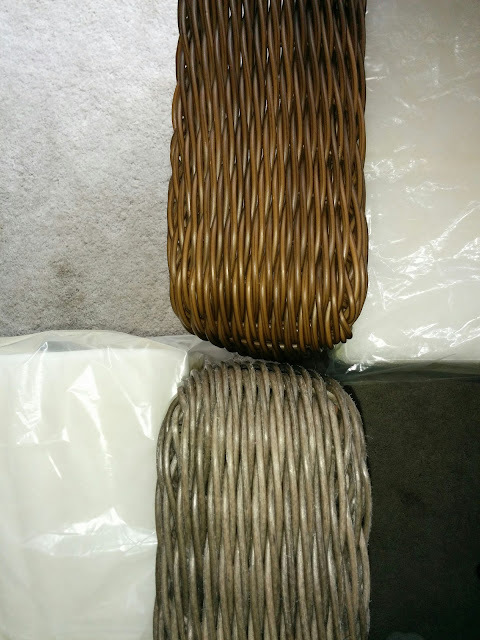 The order confirmation email showed that we would receive 3 separate shipments: The table, the chairs, and the slip covers. So far, so good. Just a standard online order. The coffee table showed up within a couple days. No issues. A day later we checked shipping status on the remaining items, and found that the slip covers were delivered ... in Chula Vista. Where the heck is Chula Vista? It is in California, so UPS at least delivered them in the right state. A call to homedepot.com, and 30 minutes later we knew that the warehouse had indeed sent our slip covers to an existing address in Chula Vista that shares a remote resemblance with our home address. UPS dutifully delivered the package as requested. A refund got processed, and a new set of covers ordered. Another couple days later we found this at the door when we came home. The chairs had been delivered by the freight company on the advertised day, but much earlier than the indicated delivery window. In the evening I started setting up a chair, then the love seat, and called it a night. As I set up the coffee table and the next chair the following evening, Franziska asks me, "Dad, why does this chair feel rough, and that one feel soft?" Hmmm, and the colors are different, too. Yet on the boxes it clearly says "Spring Haven Patio Club Chair Brown". These chairs can be ordered in two colors, brown and grey. They must have been packed incorrectly at the factory in China. Coffee table - brown. Good. Love seat - brown. Good. One lounge chair - brown. Good. Two lounge chairs - grey. Bad. 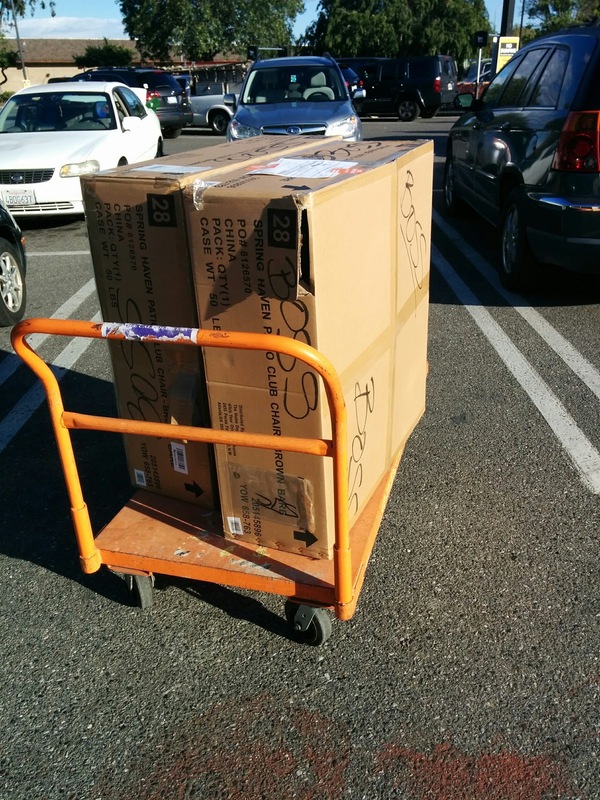 Another call to homedepot.com gets me a very puzzled customer rep. They ultimately ask me to take the wrong chairs to the closest Home Depot store, have them take possession of the chairs, call homedepot.com to cancel the order, and then process a reorder. I do that, and after some back and forth at the store, we got that squared away. Back home I order two chairs again and have them shipped to the store, since that order doesn't meet the minimum charge for free shipping. 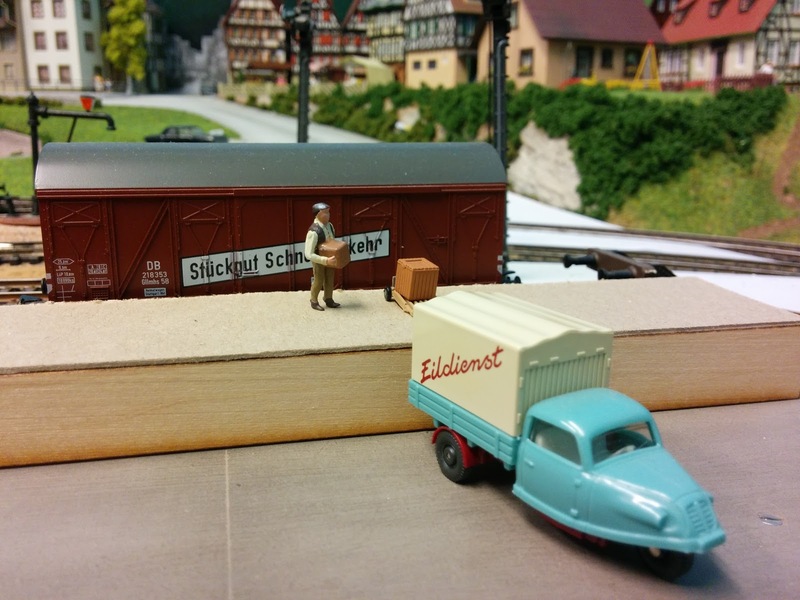 It turns out shipping to the store gets the items delivered faster, too. Sigh. The wrong ones again. The right boxes. The wrong content. The super-helpful staff at the store orders the chairs for the second time. 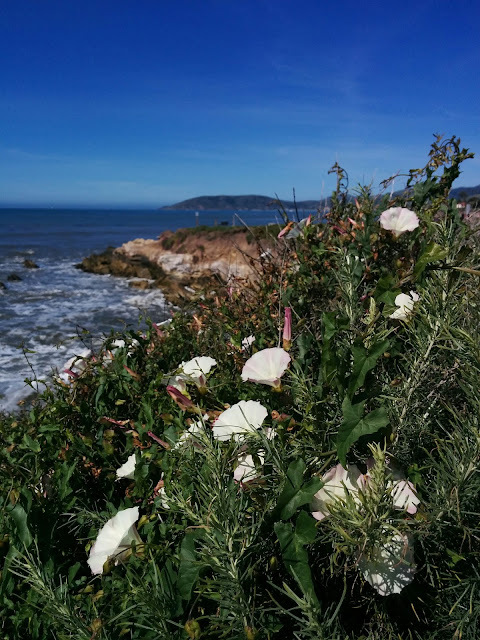 A week goes by. Another week goes by. No email. I call homedepot.com to check on the status of the order. Turns out they received the shipment the week before, but because of how it was re-ordered, had no records at the store what to do with the shipment. They knew it was an online order, so they held it, and when the customer service rep from homedepot.com called, they connected the dots. In the evening I picked up the boxes at the store. "Hi, I'm here to pick up an online order." "Sure, what's your order number?" "Here it is. 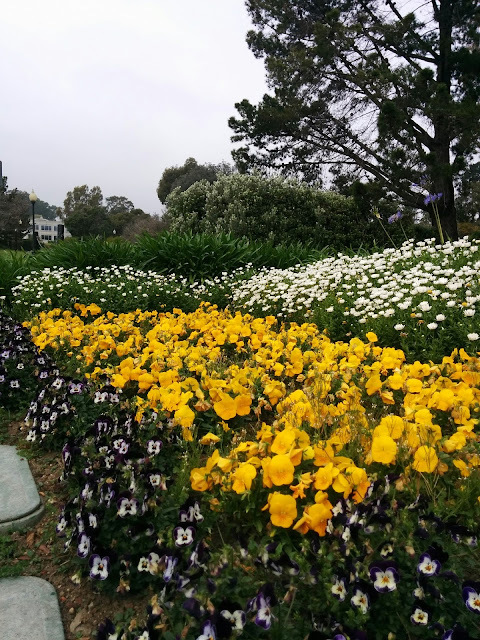 It's two patio chairs that had to be reordered, because the color was wrong." "Oh, those chairs. ... Hey Mario, pull the two boxes in the back that have BOSS written all over them, will ya?" Before I left the store we double-checked that the color was right this time. Thankfully, it was. I did not expect to find this in our garden shed. 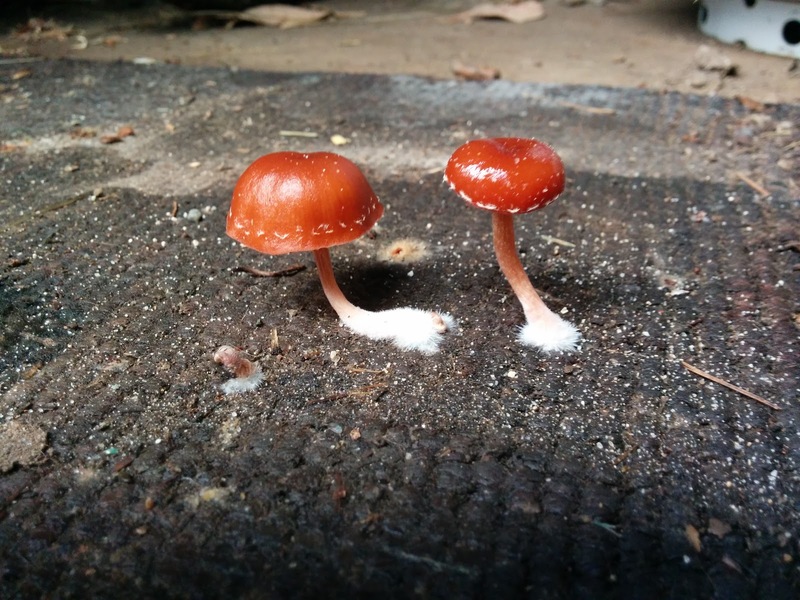 I guess the recent rains created just the right conditions to start our own fungus farm. 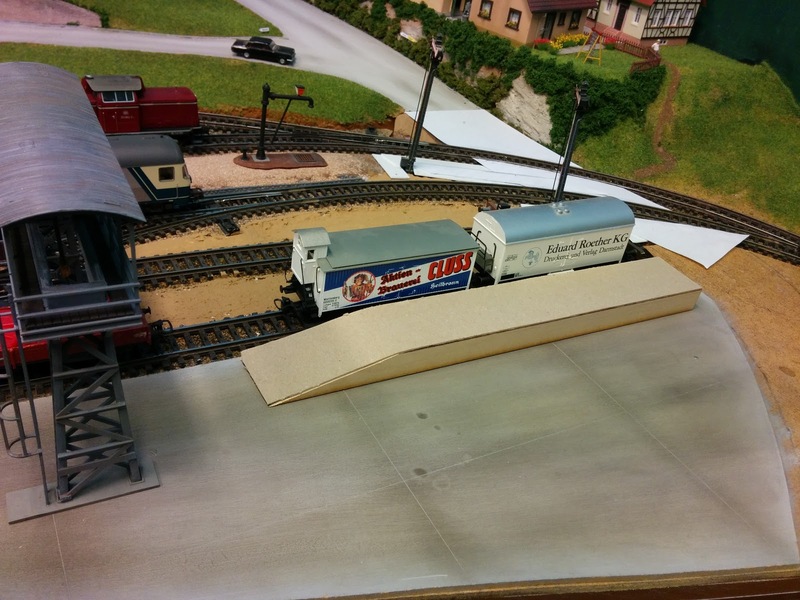 Rarely do you hear model railroaders exclaim "what do I do with all that space?" Usually, it's the opposite, trying to make the scene you are imagining work with the limited space you have. 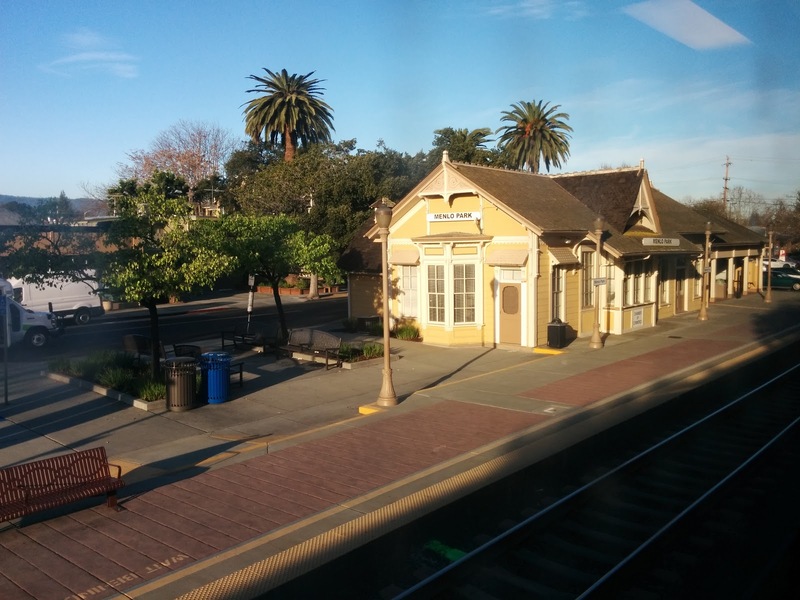 In the case of Hallelujah Paper at Silicon Valley Lines, today once again I realized how large the space I'm working with is. I placed the paper machine building on the layout, as well as the power plant. 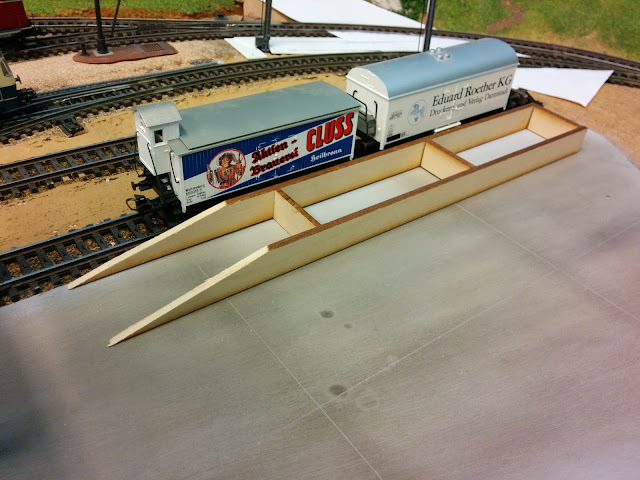 What looked like decent-sized buildings on my dining room table that are too big for my home layout just gets gobbled up on the club layout. I'd like to create a somewhat cramped feeling with the older part of the plant, but that requires at least one more kit-bashed building of at least the size of the power plant. At the same time, I also want to feature the digester and associated piping prominently. 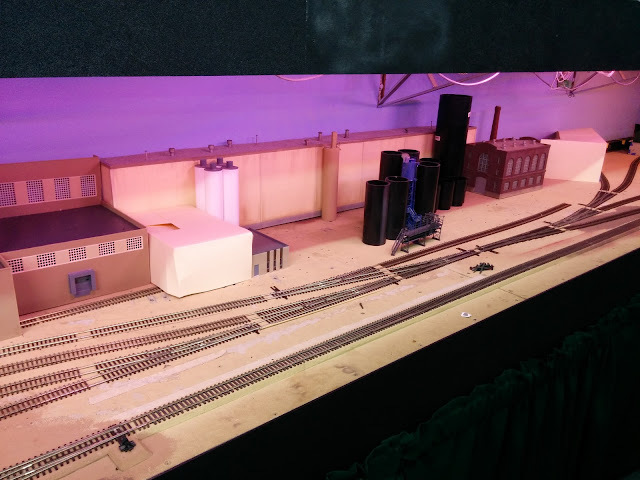 The track arrangement and how the mill is connected to the SVL main line make it a bit awkward to fill the area between the Finished Paper Warehouse, and the power plant. The challenge is to build a tank car unloading facility, that both fills the space I have for it, appears believable, and connects with the paper machine building in a visually interesting way. I could move the digester tanks more to the left, past the right end of the paper making building, but that doesn't make much sense from the manufacturing process perspective, and creates very strange routing of the materials conveyor belt. Also, whatever arrangement I come up with still needs to provide an excuse for hiding the opening in the right hand side of the paper making building. Maybe instead of an additional building, put the digesters between power plant and warehouse, and route the conveyor belts into the back drop on the way to the wood chip storage area. ... That might work. I should take another pass through Don's paper plant pictures for inspiration. The ramp is definitely too high. I'll cover the sides with Heki foam walls, which will widen the ramp a bit and cut away the hardboard under ramp, so that it sits at the same level as the track. I felt like doing something quick and easy tonight, before I go to bed. Dave's beautiful laser cut ramp that didn't quite fit at the planned location at Silicon Valley Lines was cut in half, covered with some cardboard, and temporarily put in place to get an idea what it might look like. The bulges relented and are barely visible any more. There is a slight bow in the roof sheet now, but it's manageable. 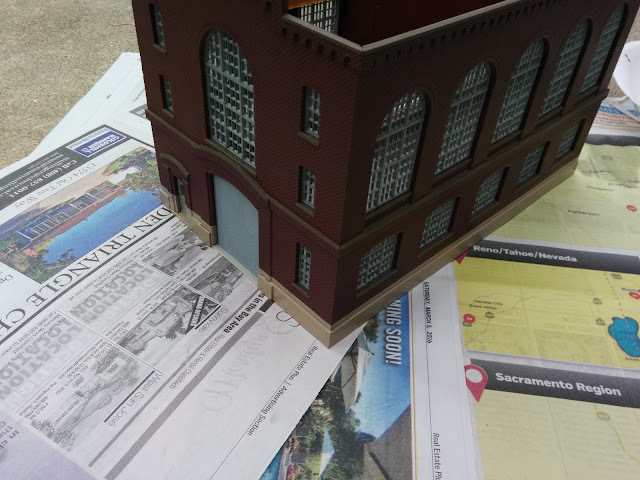 I added the vents and blowers and will arrange the "steam" from the paper making process coming off the building once it's down at the club. The power station was taped, wrapped, and prepped for spray painting the foundation walls. I think it came out quite nicely. 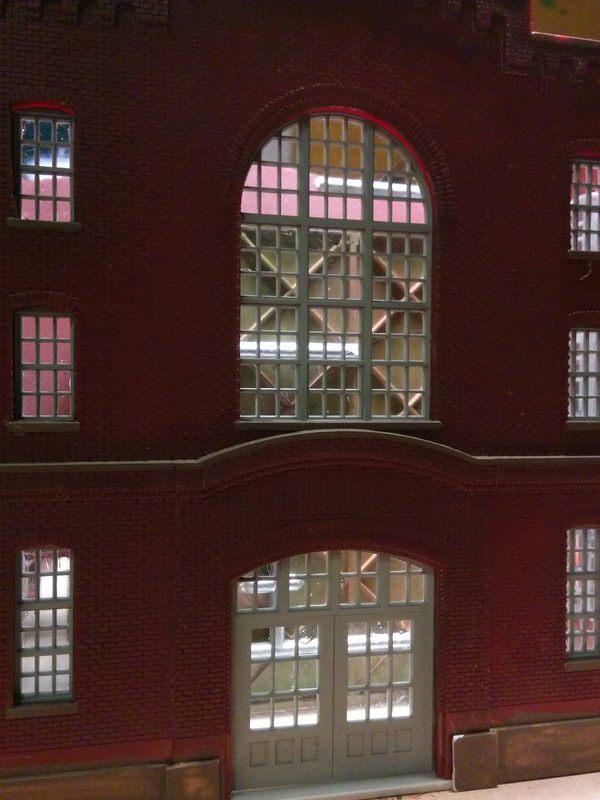 I lightly weathered the outside and installed lights. 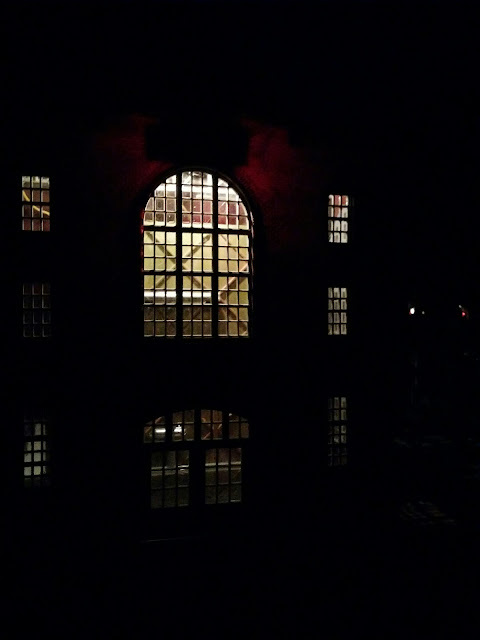 The lights are not particularly bright, so they might not be that useful after all if the room lights are on. And when the room lights are off, you can see them shining through the walls. Oh well. Either way, the power station is ready to travel down to the club on Friday. The paper making building was only missing its gravel roof. 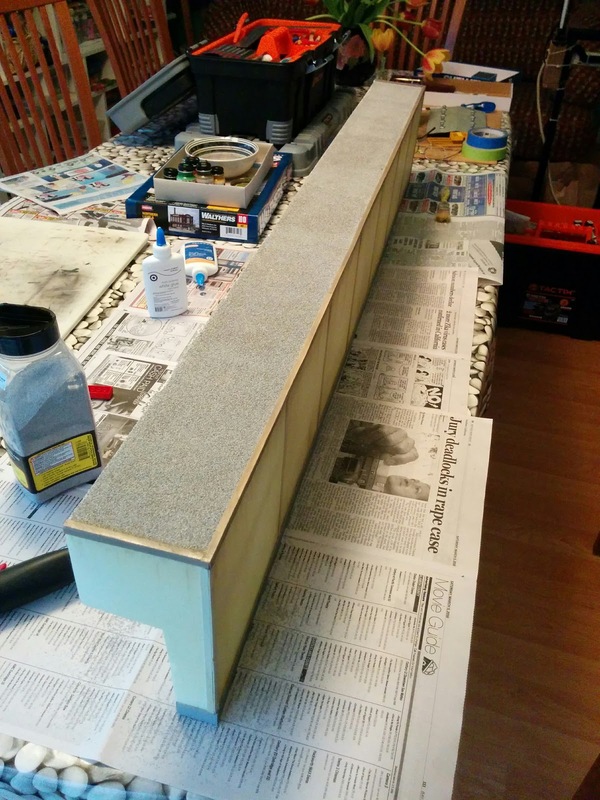 I used full-strength white glue, spread around with a finger and Woodland Fine grey blend ballast for the gravel. While the gravel is drying, I weathered the vents and various blowers, that will go on the roof. Here's an example pre- and post-weathering. When I blew loose gravel off the roof, I noticed that the white glue was holding only a very thin layer of gravel in many places. Very anxious (because of previous experience) I carefully brushed a very thin layer of matte medium on the thin spots and applied more gravel. An hour later the roof started to warp in some places. 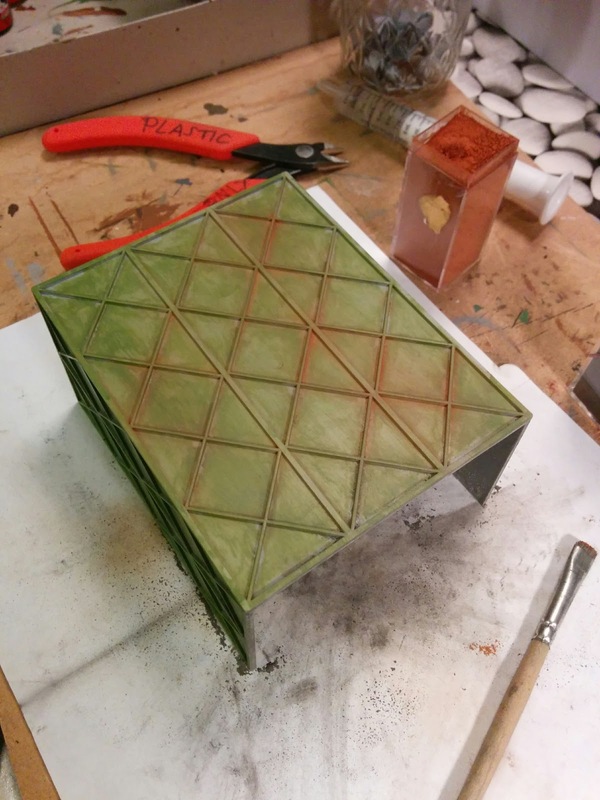 The matte medium had penetrated the foamcore paper, and the roof started to disintegrate. 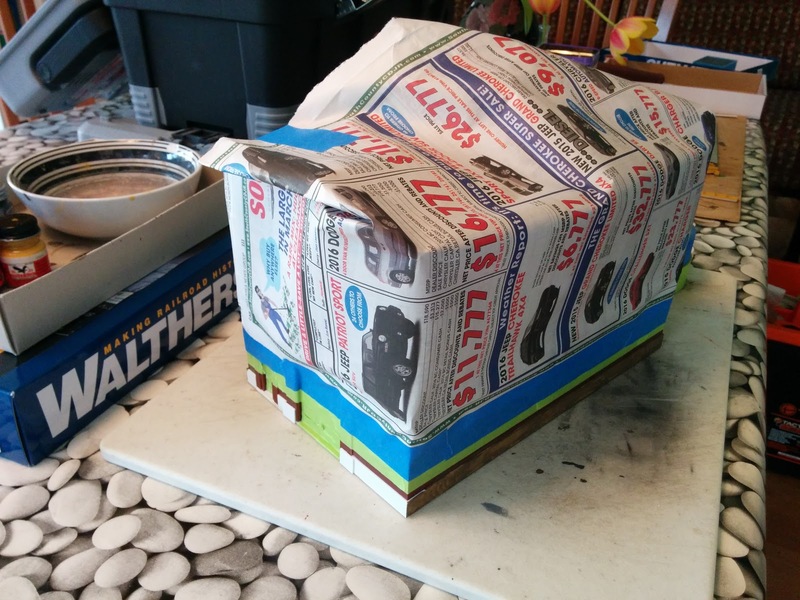 I carefully applied some weight to the bulging roof paper (paint bottles are useful for many things), and I'm hoping that tomorrow morning the bulges are gone. 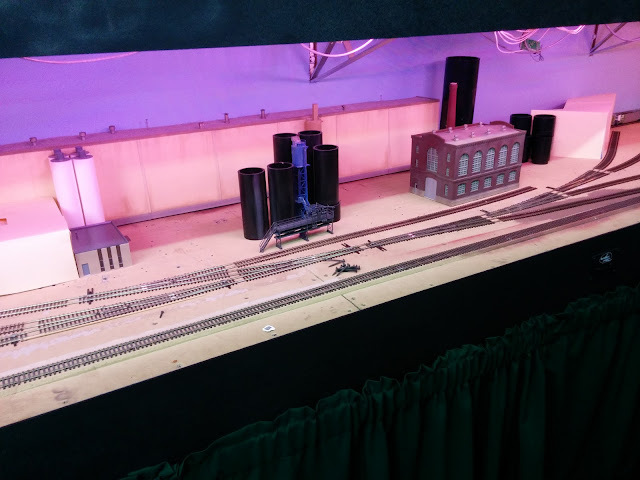 I stopped by The Train Shop today, ran into a couple well-known local model railroaders, and picked up the interiors kit for the Northern Light & Power kit, which I'm using to represent the paper mill power station. 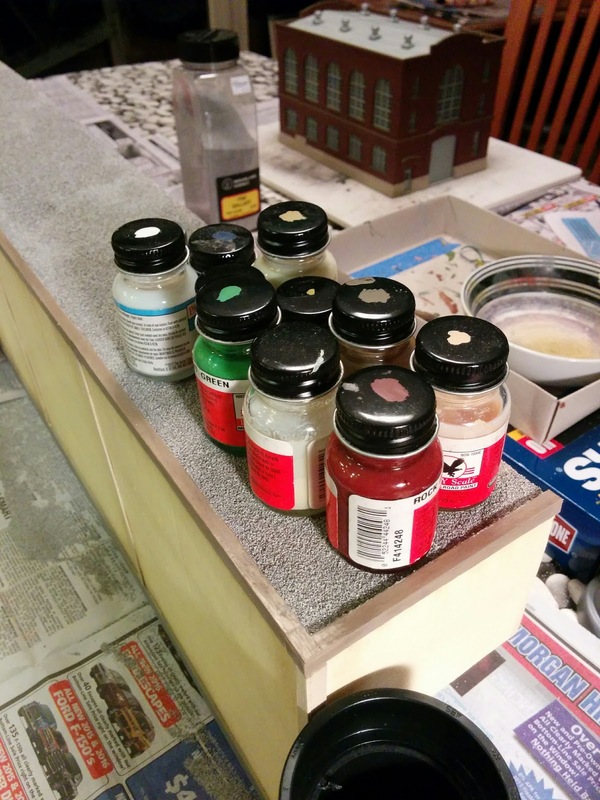 The interiors kit is a bit of a joke: two sprues, the majority of which are taken up by the three panels for the steam boiler. I originally planned to build up something on the inside myself, but saw the box on the shelf and figured, "Why not? Let's try it." Oh well, ... Let's see what we can make with this. The grey plastic pieces first got a light coat of Coach Green mixed with a bit of yellow, which becomes this ubiquitous machine green commonly seen in industrial settings. 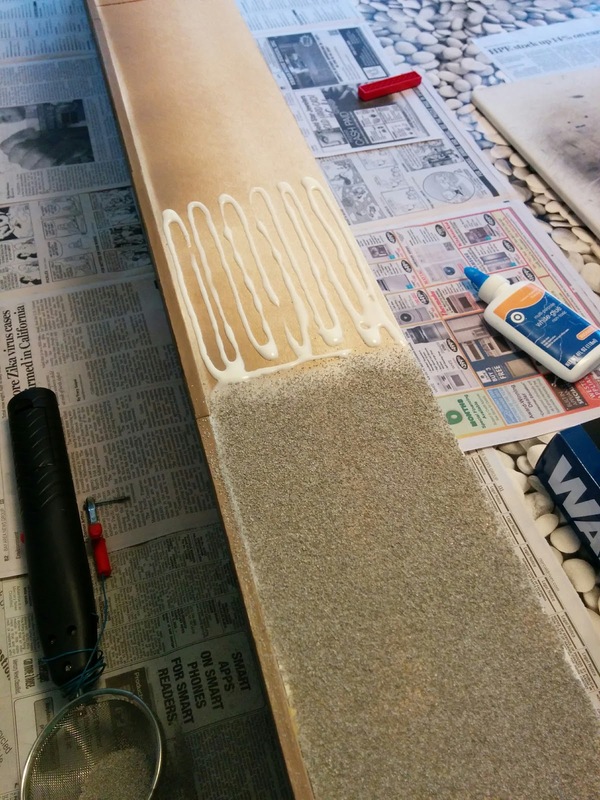 An application of weathering powders later we have something that looks a bit more interesting. 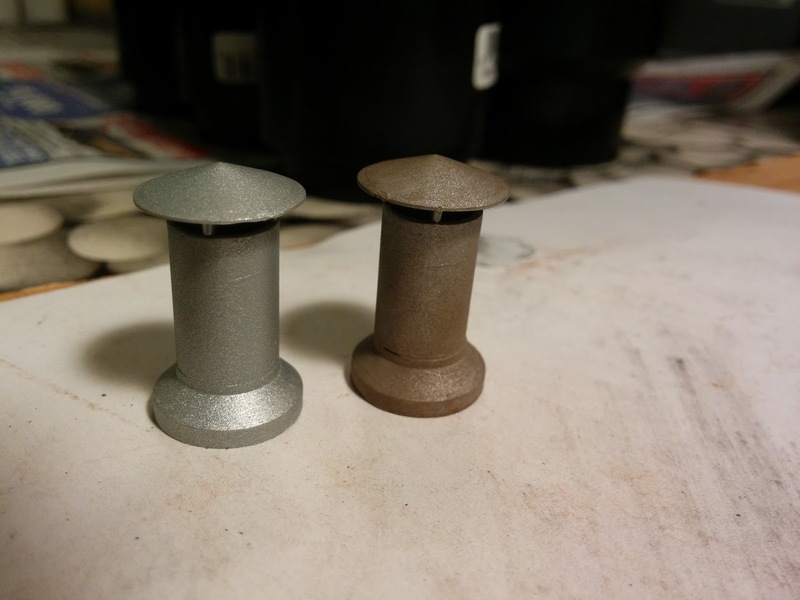 Next I painted one of the sprues silver and arranged the "pipes" around the boiler set. 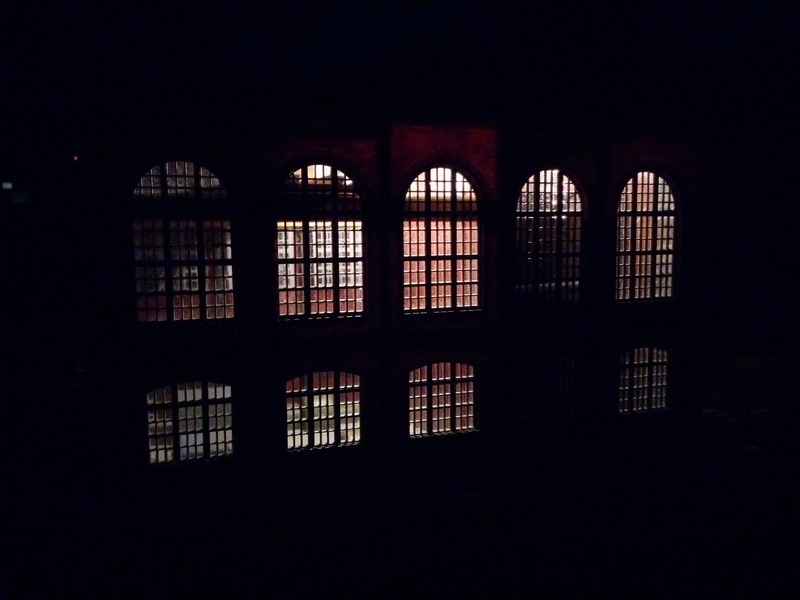 The effect behind the windows of the building is much better in 3D than in the photo below but you get the idea. Now we're no longer looking at a boring grey box with some ribs. 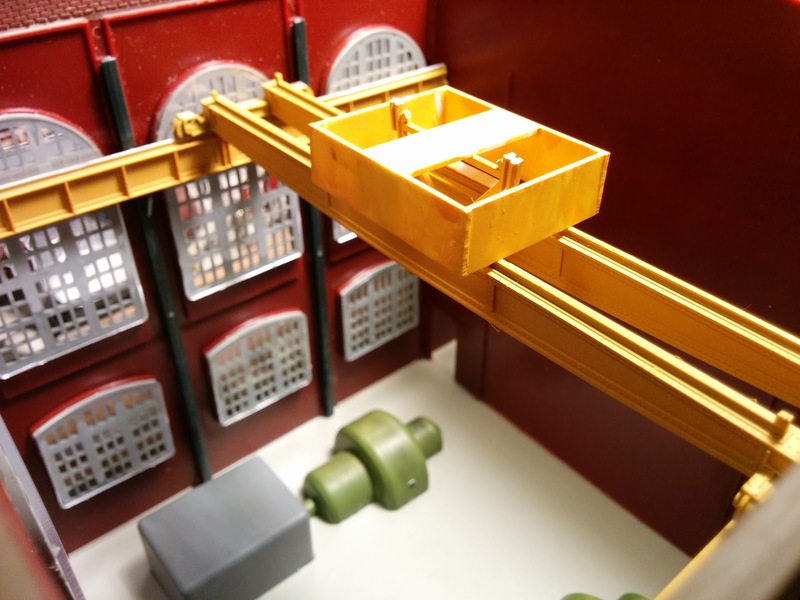 I found the crane bridge under layout and built a new hoist housing from strip styrene. The housing doesn't have to be particularly pretty or accurate since it's hard to see from the outside of the building anyways. As long as there's something "there", the effect is sufficient. 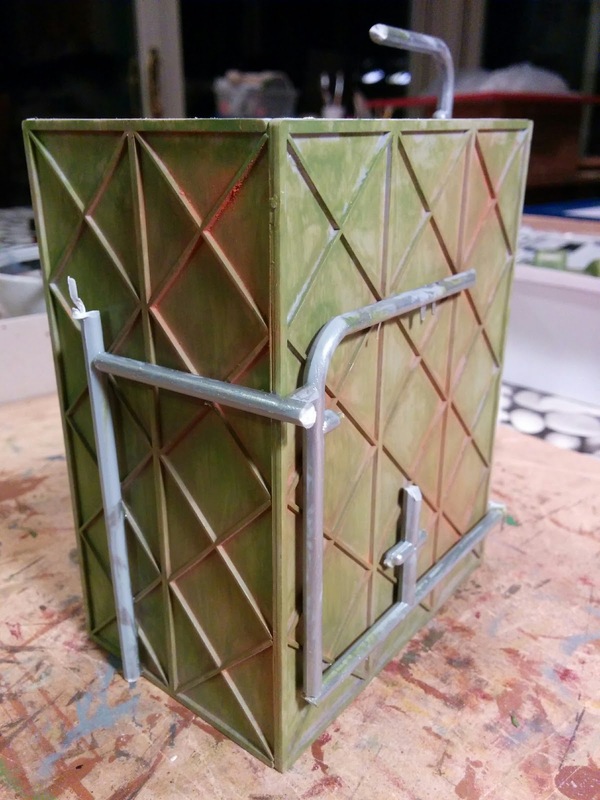 I painted the turbines and generator parts and added a dusting of weathering powder to represent grease and grime. 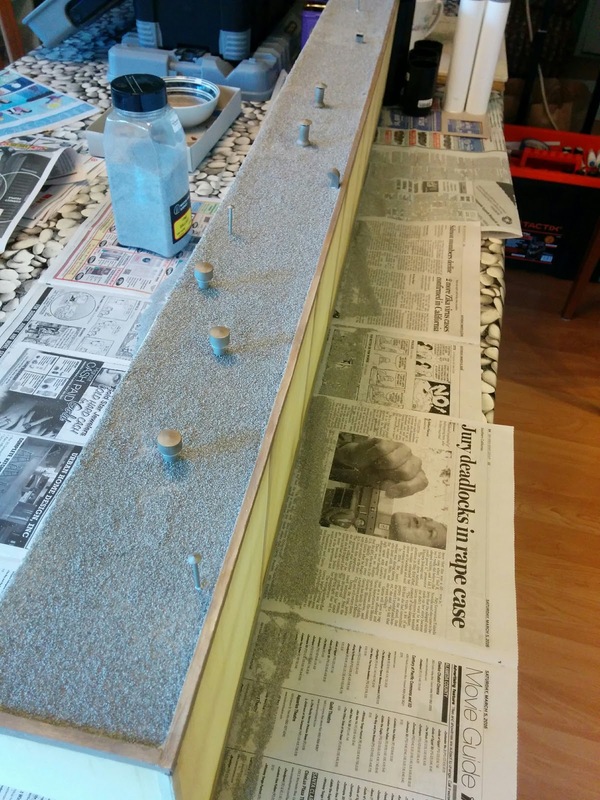 I did add tiny representations of builder plates made from 0.010' strip styrene painted black. 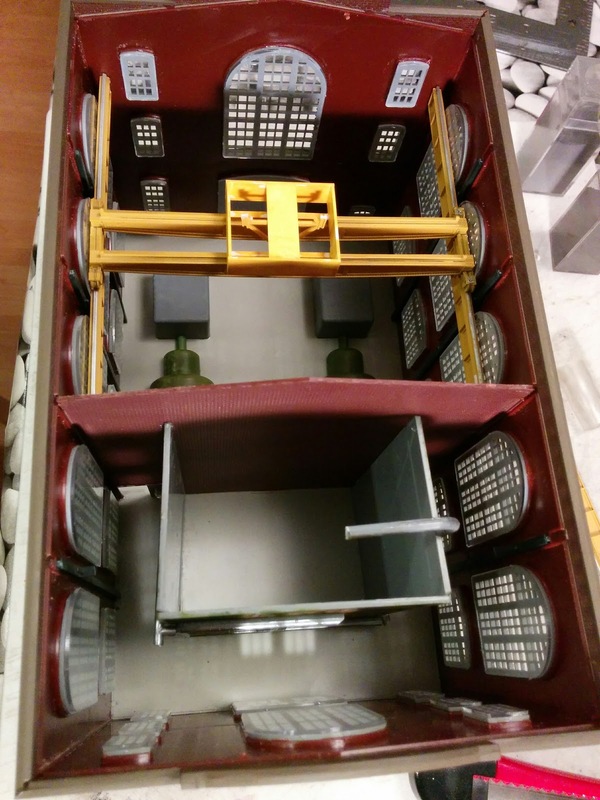 Here's an overview of the completed interior. The boiler walls are a bit crooked because I glued the separating wall the wrong way around, and now the sliding fire doors get in the way of the boiler walls. Today was a reminder how painful the commute in my previous job was when I spent 4 hours each day on the train, on the shuttle bus, or waiting for either one commuting between San Jose and South San Francisco. 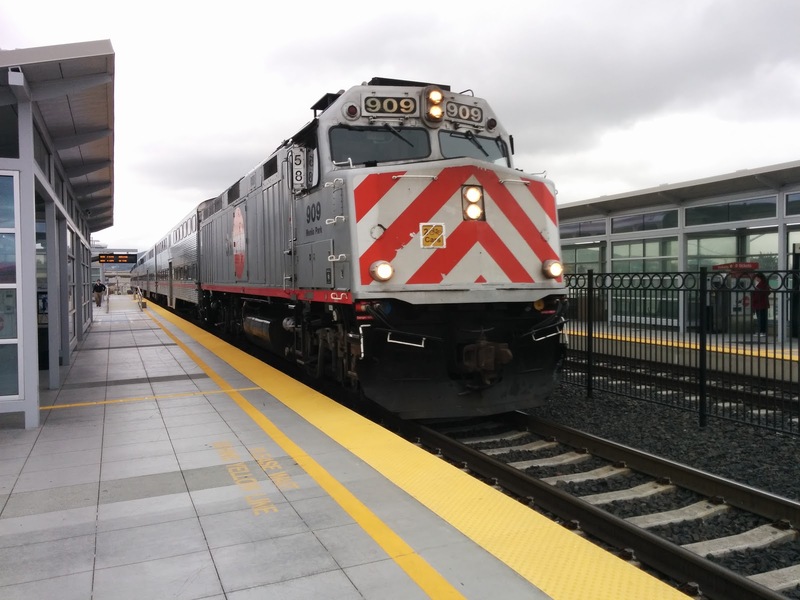 I changed jobs just before Caltrain introduced the Baby Bullet Service, so while I used the Baby Bullets on occasion since, I never got to experience the express service on a regular basis. I left left the office at 3:30pm. The train left at 3:59pm. 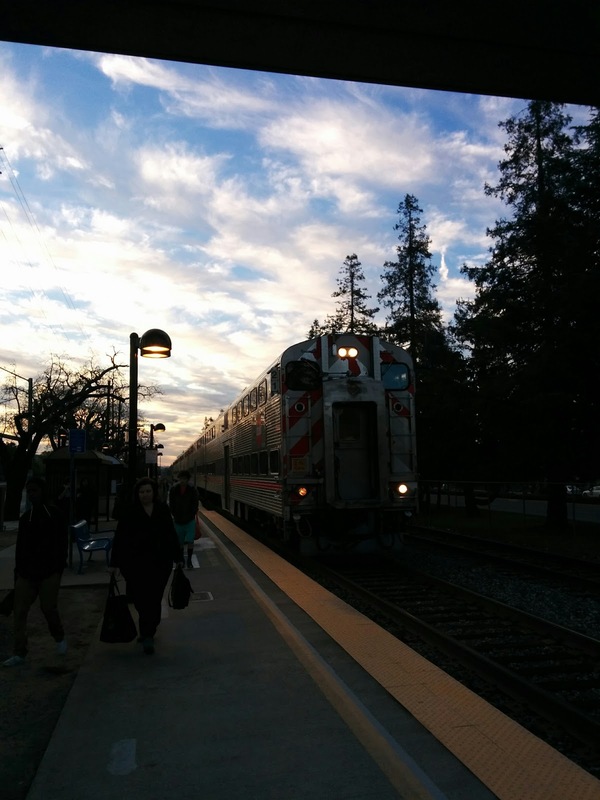 Arriving home at 5:50pm (via transfer to VTA Light Rail at Tamien). It's time they electrify Caltrain, retire the diesel engines, and get modern passenger train sets with decent acceleration. Planes taking off from SFO and flying overhead. You can hear, but you can't see them. The roar from I-380 comes through a bit muffled. Carl the Fog is thick and hanging low today.